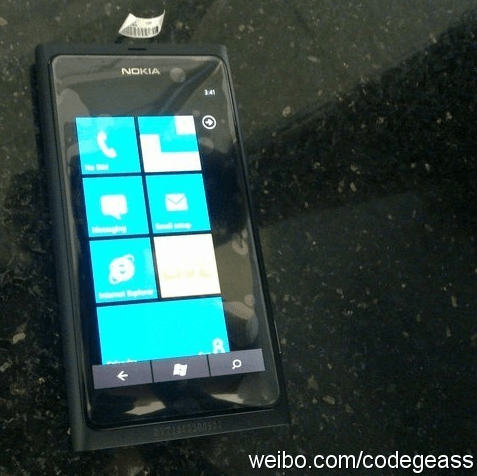 Nokia’s Windows Phone has no Windows Phone buttons? All touch? Or Fake? Some were questioning where on earth the Windows Keys are. We never did get to see them in Elop’s accidental super confidential demo. Well, as you know the N9 sports 854×480 pixels. That’s 54 more pixels than what Windows Phone actually needs. Some speculated that Windows Phone might actually have touch screen buttons – continuing the theme began with the N900 and now the N9 of a truly buttonless face. You can see this in the picture above. 3) This is extremely UGLY. Simply a colour change to black (made extra nice by AMOLED CLEAR BLACK display) would make it disappear and less of an eye sore. 4) Hopefully in other operations, such as video, you can then experience the extra 54 pixels for true 16:9 video. There would have to be strict precise definition between the main touch part and these main control key. BTW these type of touch home buttons worked fine on Maemo 5. Android’s Honeycomb has no buttons on the face. Nokia are allowed to do more with Windows Phone than any other manufacturer. It’s a slim chance given that it may make updating windows phone more difficult, and ignoring the clash in UI design, what if they did bring Swipe to Windows Phone? Note those three buttons are a requirement in Windows Phone.